This debut from members of The Slow Death sees Illimitable Dolor create a majestic ethereal atmosphere. It was almost two years ago, the first time I was drawn in and captivated by the dream-like, otherworldly sound of The Slow Death's third record, 'Ark'. 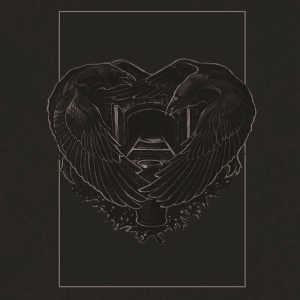 The intricate and haunting Funeral Doom of the release became all the more mournful upon the passing of the band's male vocalist, Gregg Williamson, who passed away shortly before the release of the album. Stuart Prickett, the main songwriter of the group, has now started Illimitable Dolor with several other members of TSD and has dedicated this self-titled album to Gregg. Those who are already familiar with the doomier works of Prickett (particularly TSD and Stone Wings) will already have a good idea of what is to be heard on this album; incredibly lengthy tracks, consisting of an ultra slow blend of Death and Doom Metal, which frequently dips into Funeral Doom territory. The melodies are made up of with a well thought out blend of velvety guitar leads and airy keyboards, which create a majestic, ethereal atmosphere. The recording quality has an all-encompassing, engulfing feel that will make it seem as if the music is a thick cloud that you are being submerged into. Part of this has to do with the fact that the band has three guitarists, alongside a nice resonant bass sound, so the music feels huge yet melodic. Prickett's vocals consist of a mid-range, inoffensive grunt that adds a solemn, less emotional touch to the music. On final track, 'Abandoned Cuts of River', some very pleasant clean vocals are added to the mix, which I only wish were incorporated a bit more throughout the album. 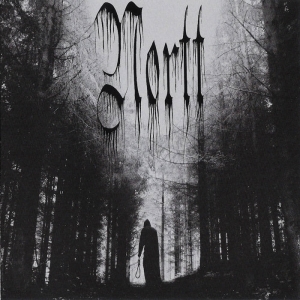 The mix of monotonous cleans and deep growls seems to tastefully pay homage to the long forgotten Italian band Ras Algethi; an Atmospheric Doom band that was known for its mixture of Gregorian chants alongside growled vocals. 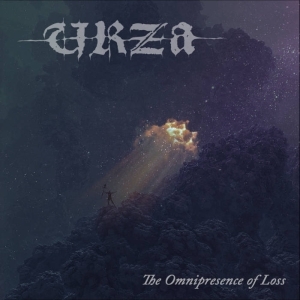 Those who have heard 'Ark' will perhaps feel familiarized with the ethereal atmosphere, the balance between Funeral Doom and Melodic Death sounding passages, and blend of dreamy organs/synthesizers with fluid guitar leads. What I find separates Illimitable Dolor from its brother band is the tone. Whereas The Slow Death plays some of the most utterly hopeless music I have ever heard, I find Illimitable Dolor have a lighter, more introspective and warm mood. Third track Salt of Brazen Seas demonstrates this the best. Whereas the other tracks have some sort of aggressive build-up or more mournful sounding climactic passages, the song keeps at a very steady funereal tempo with hopeful sounding organ melodies and more uplifting leads. I am reminded of how Skepticism set to create a more mysterious and ethereal mood with their 'Stormcrowfleet' album, as opposed to the relentless despair that is more commonplace in Funeral Doom. Adding to that more majestic aspect of the music are the aforementioned Melodic Death passages. Much like how TSD are known to occasionally build up to epic up-tempo passages, second track 'Comet Dies or Shines' demonstrates an even balance between Doom and Death. Galloping, thunderous mid-tempo riffs and a fast paced climax are balanced out with a gorgeous refrain of Funeral Doom that resounds with excellent lead solos that help keep the music moving even during its slowest peaks. The biggest drawback that I feel the album suffers is that it just doesn't seem long enough. Though four circles making for forty-five minutes worth of music seems like a good bit, I feel as if at least one more track would have given the album a better sense of completeness. The band has even shared their own rendition of Paradise Lost's track 'Eternal', and it could have been a nice addition to the end of the release! 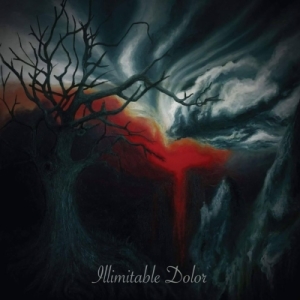 All in all, many may not find Illimitable Dolor brings anything new to the table of Death Doom or Funeral Doom, and they wouldn't be wrong to think that. I find that they take a route that many other bands have taken, but they perform it well enough that they are worthy of standing out alongside the likes of Evoken, Shape of Despair, and of course The Slow Death. Those who enjoy Funeral Doom or Death Doom with an ethereal atmosphere should certainly give it a try. Visit the Illimitable Dolor bandpage.